One Drop Mobile is an award-winning app loaded with features to help you achieve great results! App Store as a “Best New App,” TechCrunch, The Washington Post, CNN, Time Magazine, Fortune, Gizmodo, Engadget, Mashable, YAHOO! Finance, Diabetes Daily, DiaTribe, Diabetes.co.uk, DiabetesMine, and more! Since 2017, One Drop has published and presented 15 peer-reviewed studies, demonstrating the platform's effectiveness in lowering A1C in just a few weeks. * A gorgeous, Bluetooth-enabled blood glucose meter that sends readings to the One Drop app. * All the test strips you need, delivered direct to your door. * Real-time 24/7 access to a personal diabetes coach. Learn more by checking out the One Drop Store in app settings. * Personalized daily schedule delivered to you each day. * Schedule reminders to help you stay on track. * Track blood sugars, meds, meals, activity, weight, blood pressure, and more — all in one place. * AI-powered technology predicts your future blood sugar trends. * Personalized recommendations on how to keep blood sugars in your target range. * Sync data from thousands of apps via Health app, including: Fitbit, Dexcom, One Touch, Accu-Chek, Agamatrix, iHealth, Dario, Garmin, Nike+, Strava, Qardio, My Fitness Pal, Lose it!, Lark, Weight Watchers, Withings, and more! * Track blood sugars, meds, meals, and activity using your Apple Watch. * View your daily stats, including goal progress and in-range glucose readings. * Search library or scan barcodes to find foods. * One Drop automatically calculates carbs and other nutrition data. * Build and save favorite meals for future use. * Daily, weekly, and monthly views show how close you are to reaching your goals! * Swipe left on home screen (Insight tab) to see how often your blood sugars are in-range. * Set up insulin pump basal rates to match your pump. * One Drop automatically logs and adds pump data to your daily insulin totals. * Add temp basals from the home screen (Today tab). * Enjoy all of the benefits of One Drop in English, Spanish, Arabic, Chinese, Russian, Portuguese, Italian, German, and French. * Region-specific food libraries available for: China, France, Germany, Italy, Mexico, Russia, Spain, United Arab Emirates, United Kingdom, United States, and many more! * Join a worldwide community of people living and thriving with diabetes. * Check out our Ambassadors — users like you who have volunteered to share all their data in real time. * Visit the News tab for breaking diabetes news, recipes, and community data. NEW! Blood Glucose Tags: Add pre-meal, post-meal or fasting tag to any blood glucose reading. Select a tag before saving a manual BG entry, Bluetooth meter import or scheduled BG reminder. Saved tags appear in the Insight tab, next to the corresponding blood glucose value. View Missed Reminders: Visit the Today tab and tap Missed Reminders in upper right to view reminders you forgot to confirm yesterday, and up to 7 days ago. Clear Missed Reminders: Tap edit in upper right, then individually select reminders or select all. Tap trash can icon to confirm and permanently delete selected reminders. Health Tiles: Visit the Insight tab and swipe right on the top, daily progress banner. Tap edit button to view a list of your current Health Tiles and other available titles. We will release additional tiles soon! Add/Edit Health Tiles: To add a tile, tap the green “+” or drag and drop into My Health Tiles section. Reorder your health tiles in any configuration and add as many as you want to My Health Tiles. Remove Health Tiles: Tap the red “-” to move tile back down into More Health Titles section. Once moved, this tile will not appear in your daily progress banner. Many thanks to everyone who's sent us feedback. We make changes based on what you write in, so please let us know what you think! Just email feedback@onedrop.today. And if you love One Drop, please take a minute to write a review. We appreciate your support! I recently came across this app and instantly downloaded it for my wife, she used the app for a couple days and said she really liked it so we subscribed to the unlimited plan, meter came way before it said in the notice. One thing she could really use in the app is customizable setting to have the app do the insulin calculations for her. For example she checks her numbers it syncs to the app then she has to close the app and open the calculator and figure out the amount of insulin would be great if you could put in the math and the app do that for her. So she checks her numbers the app displays the reading then a notification or something goes to correct this take “2” units of insulin, or eat this 30g of carbs basically eliminate the need to close the app and use the calculator. That’s the only thing I could think of that could use the app other than that 10/10 great app and cheap too!! I’ve been using this app for the better part of a year now. The recent update provides a new way of doing what you could do before. The snap shot of the last 7 days, 30 days a prior months averages was not removed, but how it’s accessed is not intuitive. On the insight tab, tap the daily summary and the timeline snapshot will show. I stumbled upon this and was happy to see it was still there. For me, this snapshot is why I log everything. It helps keep me on track and shows when I’m starting to slip. I had dinged One Drop for removing this with the upgrade, but adjusted my rating now that I found it again. Please do not remove this feature! The other is a minor inconvenience, but when entering meds, meals, exercise there used to be a “NOW” button that grabbed current date and time and did not require one to scroll to those values. It’s a little thing, but now that it’s gone it really miss it. Hi! Happy Friday! Thank you for your awesome feedback! Just so you know, the "Now" button is still available everywhere you log. Need more assistance? Feel free to reach out to us at support@onedrop.today. We are here to help! The best app there is!! I looked at several apps but none of them come close! Complete tracking of everything. The logging feature for food is the best. Save your common meals, easily adjust portions, search the extensive database to add foods, even use the built in barcode scanner! Now use Siri Shortcuts to add meals. 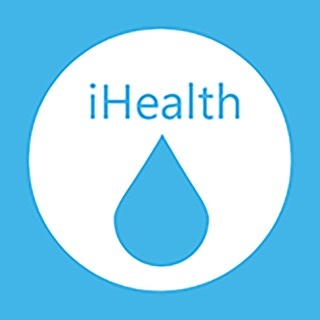 Connects to health app seamlessly, logs weight from iHealth Bluetooth scale or enter manually. Track a1c, carbs, calories, insulin intake, medications, even activity! This truly motivated me to take my type 2 diabetes seriously. From July to October I got my a1c from 8.0 to 6.4, my weight from 305 to 278. Medications did most of it but understanding portions and the easy logging made a tremendous difference. I can’t thank the developers enough! My only wish would be to have the one drop meter and strips covered and paid by my Medicare insurance. Still, the free to use app is far and away the best I have seen. © Copyright 2018 One Drop and Informed Data Systems Inc. All Rights Reserved.